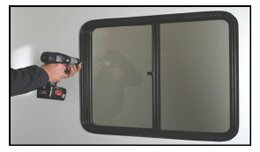 Installing a window in your RV is easier than you might think. First timers should plan on 1-2 hours to complete a window installation. To make this as easy as possible, we have provided step-by-step instructions for this Do-it-yourself project. 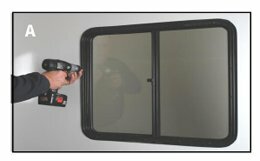 If you have not yet ordered a new window, our "Do-It-Yourself Measuring Guide" can help you correctly measure and order a window to fit most RVs on the road today. You may also download this installation guide as a PDF file. Tools needed. 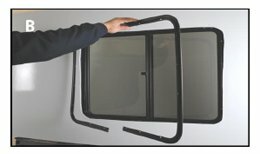 Your new window is shipped with all the parts you need for a complete installation: Window and Frame, Interior Trim Ring, Screws and Flange Seal Tape. The only tools you will need are a Screw Gun and Putty Knife. Step 2. 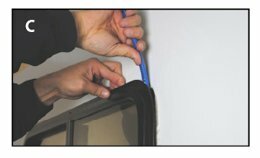 Verify window fit. Step 3. Prepare and Install the new window. Lay the new window face down on a soft surface so not to scratch it, and apply the bulb seal tape (included with the new window) around the flange. 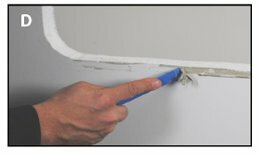 Start in the center of the bottom side of the window and apply the seal tape all the way around the perimeter until the ends meet, and trim flush (Note: There should not be a gap where the seal ends meet). 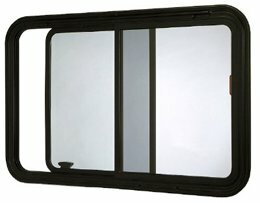 Place the window into the opening from outside the vehicle, while a second person aligns the trim ring on the inside of the window. Begin fastening the trim ring with the provided screws, starting with the 4 corners first. Work your way around the perimeter gradually tightening each screw as you go. This will slowly pull the trim ring and window together. (Note: Use only the screws provided with the new window, as longer screws could damage the window frame). 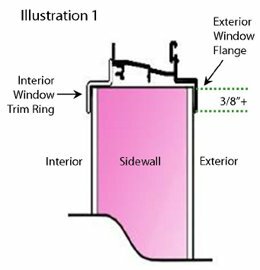 It is recommend that you cap seal, or run a fine bead of caulk around the exterior perimeter of the window to provide an additional barrier to the elements. Step 4. Enjoy your new windows. 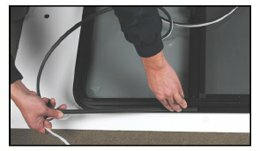 Now that your new window is properly secured and sealed you are ready to get back out on the road. If you have any questions about the installation process, please feel free to contact us via phone at 574-294-6852 x 2017 or email at suep@rvglass.com and one of our trained staff members can help answer your installation questions. Disclaimer: It is the consumers responsibility to ensure the accuracy of the window measurements submitted for order as well as proper installation. We assume no responsibility for any incorrect measurements or installation errors made by the consumer.